Everybody in India loves South Indian movies, it doesn’t matter that these movies are in Tamil or Telugu. Almost all the best South Indian movies are dubbed in Hindi and sometimes in English also. With modern South Indian movies like Robot and Baahubali where the actors are totally killing with their performance, these movies are gaining worldwide recognition. 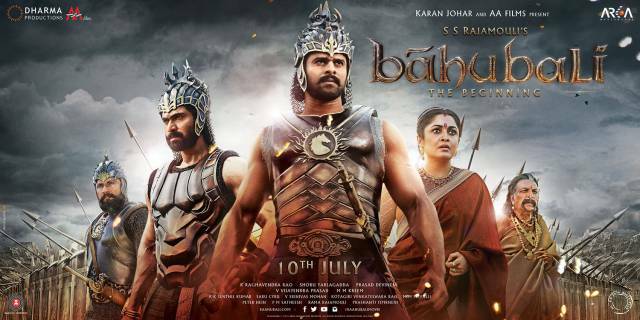 You may have heard about the grand success of Baahubali: The Beginning which also left hit Bollywood movies far behind in terms of both revenue and performance. Well, it was just a single movie and you won’t believe the fact that highest number of movies are released in South Indian region per year as compared to the remaining regions in India. Obviously, you won’t be able to see all of them, so we have done the task for you. We have listed top 10 best South Indian movies which are dubbed in Hindi and you will definitely love to watch them. 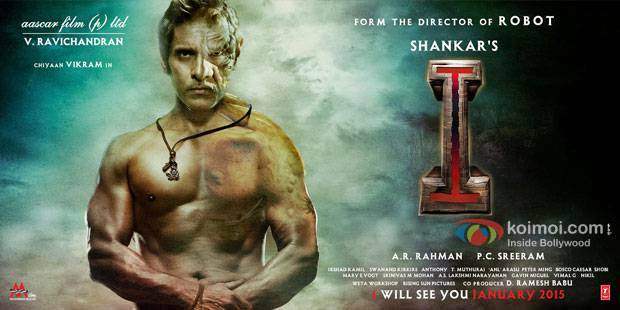 I is a 2015 Indian Tamil-language romantic thriller film written and directed by Shankar. The movie stars Vikram and Amy Jackson in lead roles along with Upen Patel and Suresh Gopi in pivotal roles. The plot of the movie revolves around a body builder turned supermodel, played by Vikram, who after being deformed into a hunchback seeks revenge upon those who ruined his life. Magadheera is a 2009 Indian Telugu-language romantic-action film, directed by S.S.Rajamouli. The english translation of Magadheera is Great Warrior, the movie stars big names Ram Charan and Kajal Aggarwal in lead roles. The plot of the movie revolves around two lovers; a great warrior and a princess who die because of a sinister force and reborn after 400 years to be together once again. It is also considered as one of the best South Indian movies of modern era. Anniyan(Enlgish: Stranger) is a 2005 Indian Tamil-language psychological thriller film written and directed by S.Shankar. The movie stars Vikram and Sadha in lead roles and the plot of the plot revolves around a meek lawyer named Ambi who suffers from multiple personality disorder due to the society and ends up a being a vigilante named Aparichit and a supermodel named Remo. Surely, it is one of the best South Indian movies of all time. 1 (English: I am alone) is a 2014 Indian Telugu-language psychological thriller film written and directed by Sukumar. 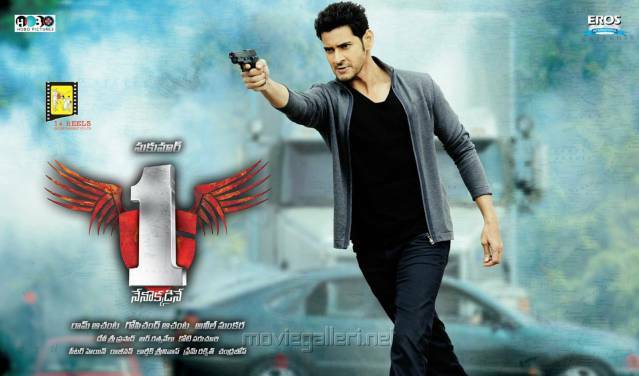 The movie stars Mahesh Babu and Kriti Sanon in lead roles and plot of the movie revolves around a rock star who has some psychological problems and how he overcome his psychological inhibitions to seek revenge from his parents’ killers. Bombay is one of the oldest and best South Indian movies on the list. It is a 1995 Indian Tamil drama film directed by Mani Ratnam, starring Arvind Swamy and Manisha Koirala in the lead roles. 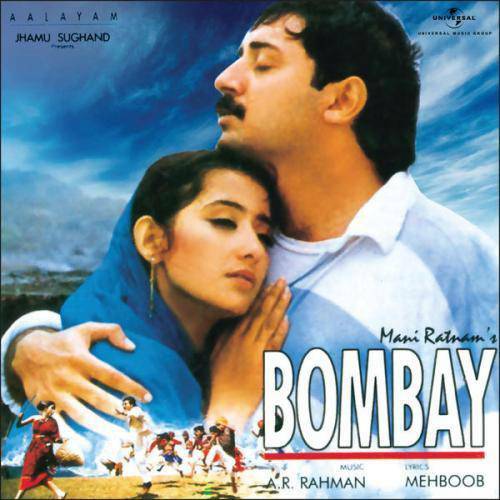 One of the highlight of the movie is that the music was composed by A. R. Rahman. The plot of the movie revolves around a Hindu man, a Muslim woman who fall in love and move to Mumbai where the growing religious tensions and erupting riots threaten to tear the family apart. Indra is a Telugu action film directed by B. Gopal. The movie stars Chiranjeevi, Arti Agarwal and Sonali Bendre in lead roles. The plot revolves around the growing hatred between two families Indrasen’s and the Reddys which ultimately leads to the death of their family members. It is one of the best South Indian movies that have been dubbed in Hindi. If you are making a list of best South Indian movies, you simply can’t miss this movie. Sivaji is a 2007 Indian Tamil language masala film directed by S. Shankar. The movie stars Rajinikanth and Shriya Saran in lead roles and the plot revolves around an established Computer Engineer who returns to India to better the lives of less privileged citizens and how corrupt police, politicians do everything to stop him. 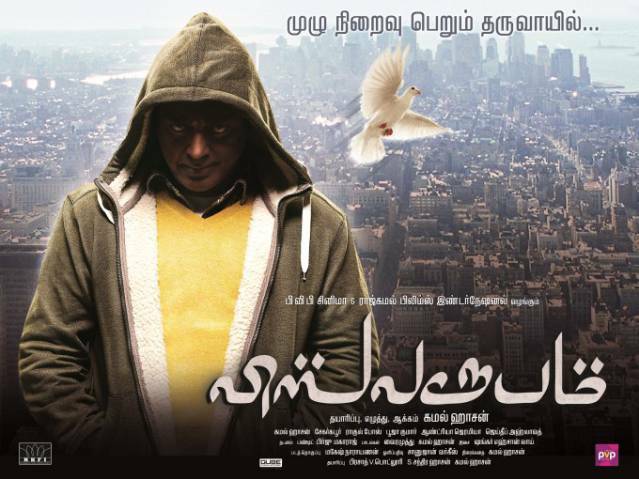 Vishwaroopam is a 2013 Indian spy thriller film written, directed and co-produced by Kamal Haasan. The movie also stars Kamal Haasan in lead role and the plot revolves around an Afghani Al-Qaeda jihadi who plots to attack New York but fails because of a RAW agent. Although the movie land in controversies but still manages to be one of the best South Indian movies of all time. Enthiran(English: Robot) is a 2010 Indian Tamil-language science fiction film directed by S. Shankar. It is one of the best South Indian movies in which Rajinikanth totally kills with his performance. It stars Rajinikanth and Aishwarya Rai in lead roles with Danny Denzongpa in a supporting role. The plot of the movie revolves around a Scientist who create a Robot who ultimately fall in love with Scientist’s fiance and turns evil. It’s time to reveal the movie which tops the list of best South Indian movies of all tim and it is none other than the South Indian blockbuster of 201s; Baahubali: The beginning. The movie is a 2015 Indian epic historical fiction film directed by S. S. Rajamouli and stars Prabhas, Rana Daggubati, Tamannaah and Anushka Shetty in lead roles. The plot of the movie revolves around a boy who was raised by a tribe; later discover that his real father was the King of Mahishmati Kingdom and was betrayed by his brother. He now wants take revenge of his father’s death and take back the kingdom from his evil uncle. Don’t miss: Top 10 Best Punjabi Comedy Movies That You Should Watch Atleast Once. Also, let us know if which one of these top 10 best South Indian movies is your favourite one? If you liked this post, make sure to share this post with your friends and loved ones.